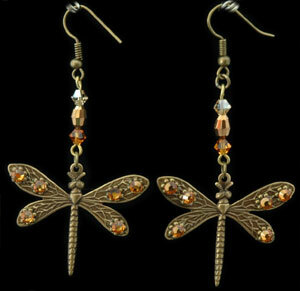 Wonderfully etched antiqued gold brass dragonflies seem to float below your ears and sparkle with tones of amber and crystal copper beads and stones. Wear with my “Cross of the Dragonfly” necklace. Dragonflies are 2” in length.